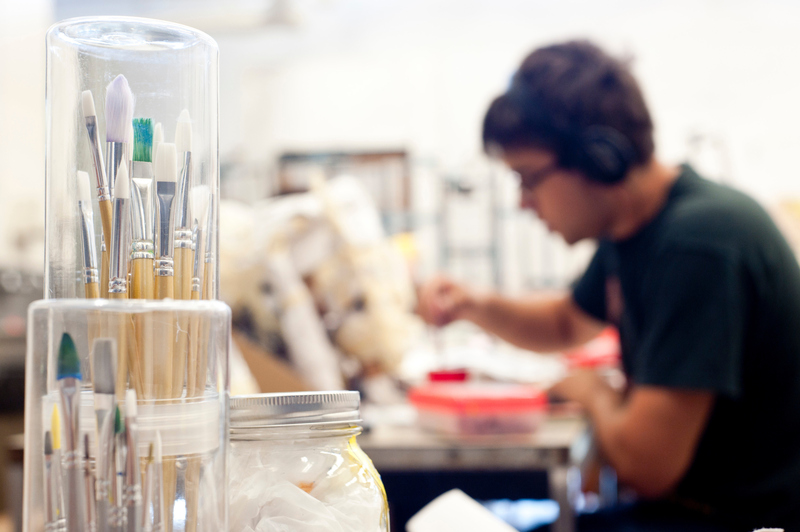 On the application, indicate ART or PRE-ART EDUCATION as your intended major. This selection is not binding, but allows us to view your application status. E-mail Undergraduate Programs Assistant Shannon Jones to confirm that you are on the list of potential Art Majors. *Portfolio Submission is not currently required for admission, but is strongly recommended. Reviewing your portfolio allows the Art Department to send a recommendation to the Admissions Office on the applicant’s behalf, as a supplement to your main application. The UW-Madison Office of Admissions and Recruitment makes all final acceptance decisions. Submit a portfolio of 8-12 images. Make sure images are in focus and well-lit. Students working primarily in digital media should include a minimum of 4 hand-created works (drawings, paintings, prints, or sculptures). Our program prioritizes original ideas in art-making. Select images that show us who you are as an artist! Please email Undergraduate Programs Assistant Shannon Jones with further questions. These sessions take about two hours and include a tour of the facilities. Interested in studying Art at UW-Madison? Attend this information session if you are an admitted student, currently in the application process, or even just starting your college exploration process. Sessions are run by our Undergraduate Programs Assistant Shannon Jones (BFA 2016). We will provide an overview of Art Department programs and discuss degree options, course offerings, and various opportunities available for Art students at UW-Madison. Sessions will meet in the Art Lofts, located at 111 N. Frances Street Madison, Wisconsin.